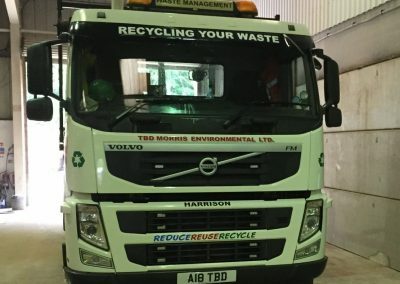 About TBD Morris Recycling and Waste Management. 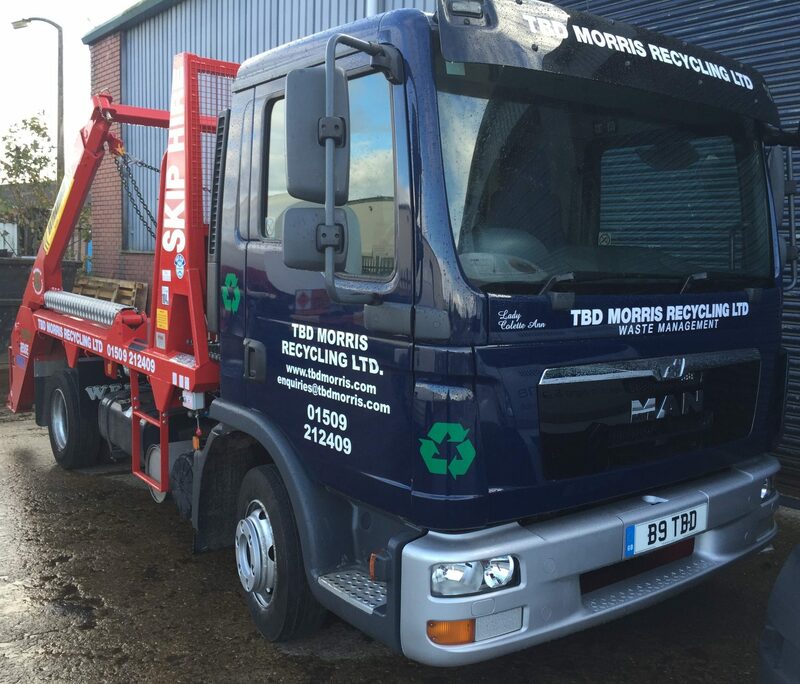 TBD Morris Recycling offer waste management services throughout Leicestershire and the East Midlands. We have always been firm believers in recycling. 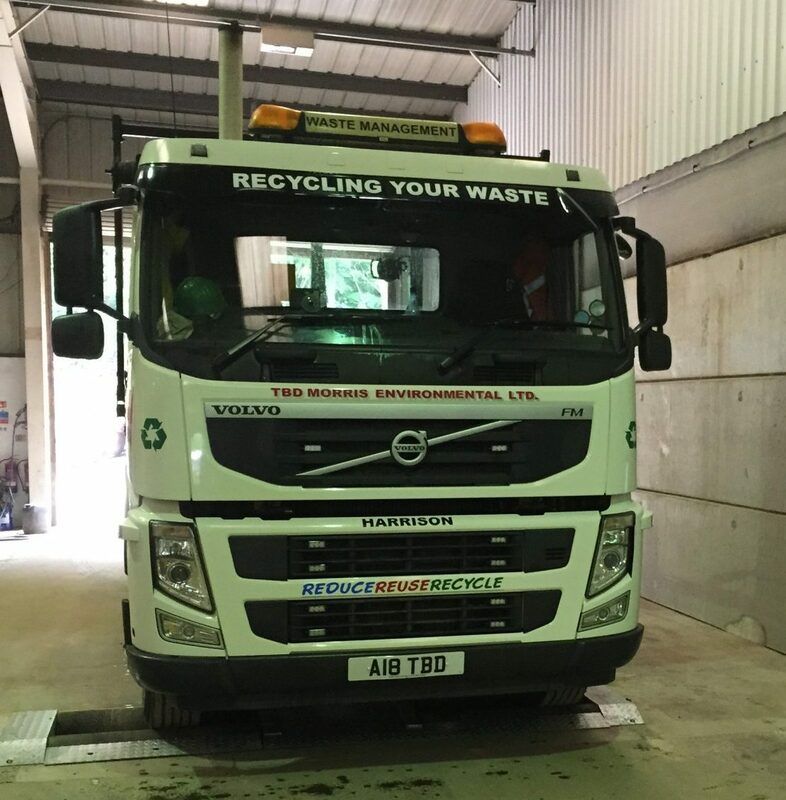 Long before directives from government and local councils were implemented, electrical goods, white goods, hazardous waste and natural materials were all taken in to be recycled or re-purposed by our team. See our list of clients and testimonials. 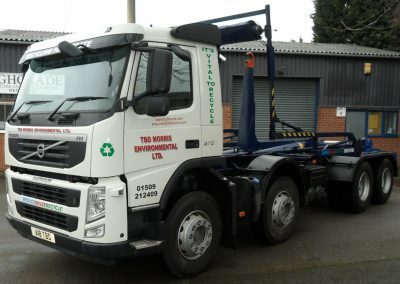 Skip hire and waste management in Leicestershire. Established over 60 years ago, TBD Morris Recycling maintains a consistent focus on customer service. 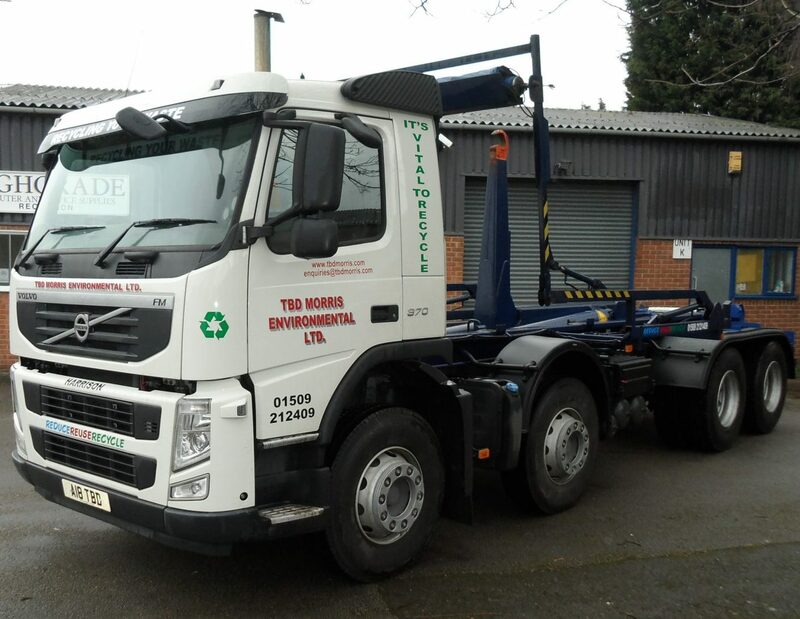 Whether that’s ensuring your skip arrives on time, or the charities we are proud to work with throughout the local area. 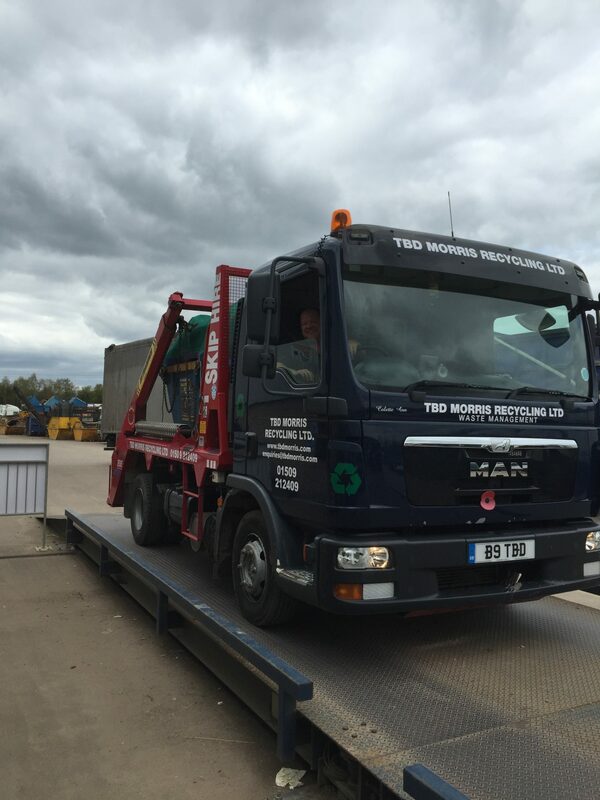 From our waste management centre near Loughborough, we offer skips, roll-on roll-off containers, metal recycling, reclamation, waste management & quality top soils, for our domestic & commercial customers. 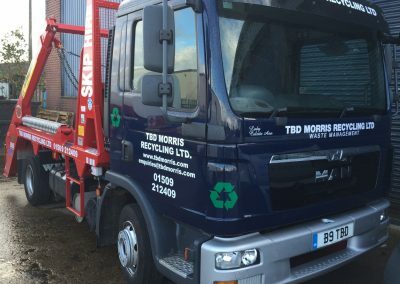 The History of TBD Morris Recycling. TBD Morris was established in 1948 by Bernard Morris after being demobbed, having served with the 8th Army in North Africa. TBD Morris were pioneers of recycling, waste management and waste disposal. We collected old newspapers, cardboard and paper and bailed it for reuse in the paper mills. Old cars were dismantled, useful car parts sold on for reuse whilst the car shell itself was sent to the foundry for smelting. 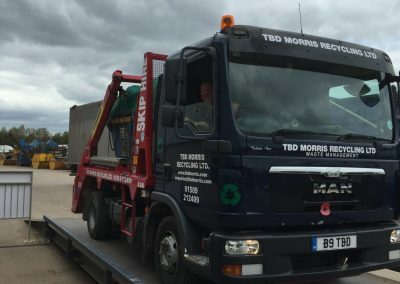 In the early sixties, with Bernard’s son Tony joining the business, he made the decision to expand into skip hire in Leicester, Loughborough and surrounding areas ,and this was an immediate success. Bernard was a well known, local character with teenagers purchasing parts for their first car from Morris’. The company’s reputation has been built on a commitment to service. Bernard was also recycling old electrical equipment long before the WEEE directive, dismantling old switches and fuse boards for the brass and copper and also fuses containing silver. He was also a supporter of local charities. Although the business changed ownership with the passing of Tony and Bernard, the current owners continue to build on the foundations of recycling, reuse, good service and support of local charities, most notably with local celebrity Rosemary Conley and STEPS in the refurbishment of St Botolph’s School in Shepshed for children with motor disorders. HGV Class 2 drivers wanted at our Shepshed depot.